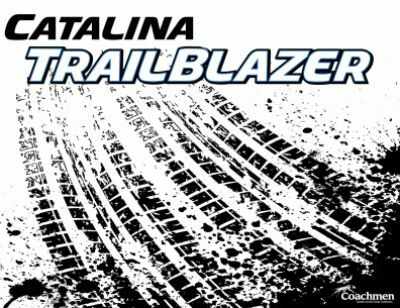 Take a trip in style with the 2020 Coachmen Catalina Trail Blazer 29THS Travel Trailer Toy Hauler! As one of the nation's premier RV dealers, Tradewinds RV Center in Clio Michigan offers all the top brand park trailers, travel trailers, 5th wheels, motorhomes, pop-ups and more at sensationally low prices that will save you $1000s! Stop in and see us today at 4325 W Vienna Rd Clio Michigan 48420 and our courteous, expert staff will help you find the perfect RV for you and your family at a price you'll love! And remember, we have 24/7 fast, reliable store-to-door delivery anywhere in North America! So no matter where you live, find the RV you've always wanted online and give us a call at 810-686-0710. You'll be in your dream RV in no time! Lounge outside under the shade of the 15' 0" awning! This Travel Trailer Toy Hauler is 35' 6" long, 8' 0" wide, with a hitch weight of 1232 lbs. and a sturdy GVWR of 9800 lbs. Step into the master bedroom and you'll find a lovely Queen bed! 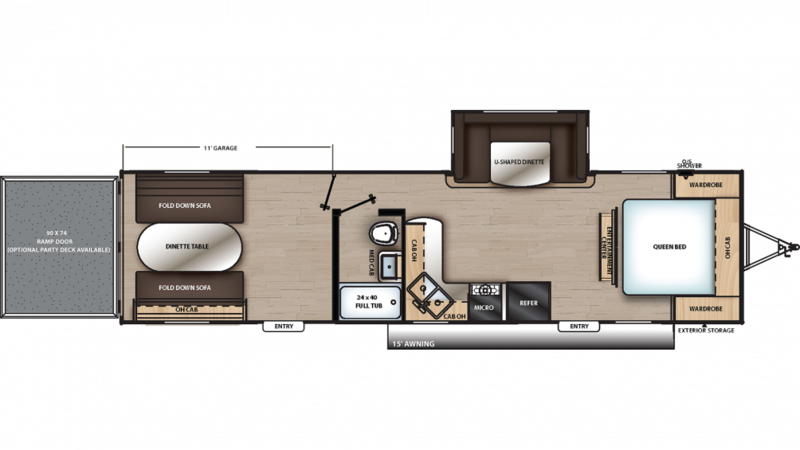 There are comfortable sleeping accommodations for up to 6 people in this Travel Trailer Toy Hauler. This Travel Trailer Toy Hauler has a terrific kitchen that comes with a 3 burner cooktop so you can make delicious hot meals, day or night! Just stock the 7.00 cu. ft. refrigerator with all your favorite foods and drinks, and you're good to go! Plus, clean up is a breeze thanks to all the hot water you'll have from your 44 gallon freshwater tank and a generous LP tank capacity of 40 lbs!